One site that Jennifer and Betty wanted to visit was Walnut Grove, MN, where Laura Ingles Wilder (Little House on the Prairie fame) spent several childhood years. One site that Jennifer and Betty wanted to visit was Walnut Grove, MN, where Laura Ingles Wilder (Little House on the Prairie fame) spent several childhood years. She wrote about her experiences there and a museum and other points of interest are there. It too a while to get there but we enjoyed the scenery of northern Iowa and southern Minnesota and our visit to the Museum and Plum Creek. Persons with knowledge of the Wilder books and the Television series would enjoy a visit to the town which attracts a lot of visitors. 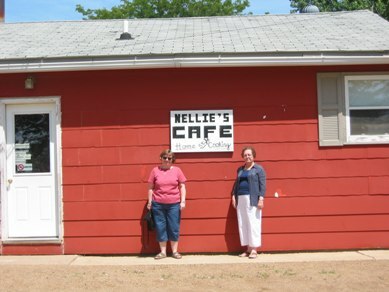 We ate lunch at Nellie’s Café and had a “southern lunch”. The museum has much information about Laura Elizabeth Ingalls Wilder (February 7, 1867 – February 10, 1957) who wrote the Little House series of children's books based on her childhood.They moved several times but spent some of Laura’s formative years at Walnut Grove. 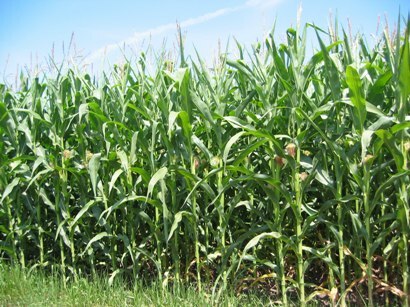 After failure of some crops, Charles sold their land in August of 1876, and the family moved to Burr Oak, Iowa. After the death of an infant son, and other disappointments, the Ingalls returned to Walnut Grove in May, 1877.Charles Ingalls served as the town butcher and Justice of the Peace, Charles accepted a railroad job in the spring of 1879 and then moved to eastern Dakota Territory. He homesteaded and called DeSmet, South Dakota, home for the rest of his and Caroline’s lives. The Little House series was very popular as children’s books and made Laura Ingalls Wilder famous.The books are told in the third person, with Laura Ingalls acting as the central character. The stories are generally classified as historical fiction rather than as autobiography, although several of the later books are almost purely autobiographical. Wilder's daughter, author and political theorist Rose Wilder Lane, assisted her mother with the editing of the works. The museum is a composite of many experiences of the various books, many of which took place in other locations. The TV series, Little House on the Prairie, was a loose adaptation of the Laura Ingalls Wilder’s best-selling series of Little House on the Prairie. The museum has pictures of visits of several of the actors who visited over the years. To me, the most noteworthy was . The museum has pictures of visits of several of the actors who visited over the years. To me, the most noteworthy was Karen Grassle who played MA. Charles and Caroline Ingalls homesteaded a farm at Plum Creek during the years of 1874-6. After three crop failures, they moved to Iowa.In 1947 Harold and Della Gordon purchased the 172 acre farm unaware of its historical connection. The unusual depression in the bank of Plum Creek was the location of the Ingalls dugout. The Gordon family continues to maintain access to the dugout site for Laura's fans. 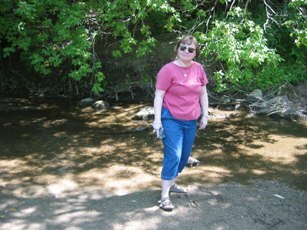 Visitors can still identify the plum thickets, table lands, big rock, spring, and other sites that Laura describes in "On the Banks of Plum Creek". The Gordons have left the dugout site as they found it in 1947. The deep depression is all that remains of Laura's dugout home. None of the buildings that Pa built remain nor is their exact location known. About 25 acres of native grasses have been planted surrounding the dugout site since 1999 to enhance the visitor's experience. Little House on the Prairie was an American one-hour dramatic television program starring Michael Landon as Charles Ingalls, a farmer, and aired on the NBC network from September 11, 1974, to May 10, 1982.The show was a loose adaptation of Laura Ingalls Wilder’s best-selling series of Little House on the Prairie books. The story of the Charles Ingalls family began long before their arrival in Walnut Grove in 1874. Charles (born in 1836 in New York) and Caroline Quiner (born in 1839 in Wisconsin) were married on February 1, 1860. Two daughters were born to them in Pepin, Wisconsin: Mary Amelia on January 10, 1865, and Laura Elizabeth on February 7, 1867. The family moved to Chariton County, Missouri during the fall of 1868. They moved again, this time to Independence, Kansas, where their daughter, Caroline Celestial (Carrie) was born. Because they were living inside Indian territory, the family was forced to move, and so they returned to Pepin. Charles sold the family's Wisconsin land for $,000 in October of 1873 and the family began their travels westward into Minnesota. 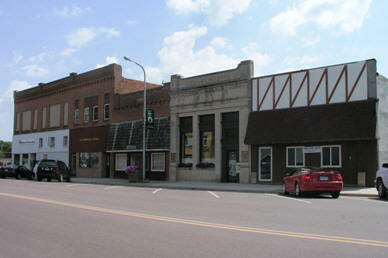 A stop in New Ulm convinced Charles that the community was already too crowded, so they continued west along the Cottonwood River. While resting at the Eleck Nelson home near the tiny settlement of Walnut Grove, Charles heard about a parcel of land in North Hero township that was for sale, owned by a Norwegian man, Mr. Hanson. 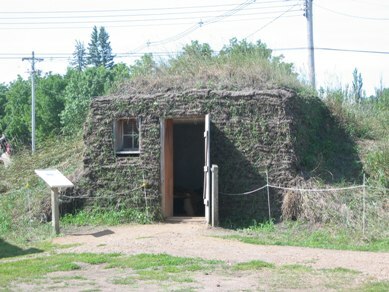 He purchased the fertile property and the sod dugout that served as its home. For a few years the Ingalls worked land and watched their family grow. Charles Frederick was born in Walnut Grove on November 1, 1875. Charles sold their land in August of 1876, and the family moved to Burr Oak, Iowa. While traveling to Burr Oak the Ingalls were devastated by the death of Charles Frederick. Life in Burr Oak didn't satisfy the family either. Shortly after Grace's birth on May 23, 1877, the family returned to Walnut Grove to try again. The town had grown. The Winona and St. Peter Railroad ran west through the town toward the Dakotas. 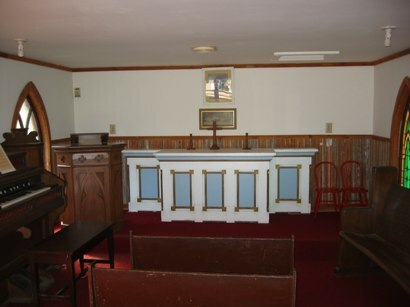 The Congregational Church had been organized with the help of Rev. Edwin Alden of the American Home Society. Charles became a trustee in the congregation. Children received their education in a school house that was built in 1875. The community on the prairie was growing and becoming part of the civilized West. The people of Walnut Grove were a hardy lot. They had broken new sod and toiled and struggled against overwhelming odds. They had realized their dreams - dreams for a new beginning and a better life for their loved ones. However, the dreams of Charles Ingalls were to carry his family even farther west to DeSmet in Dakota territory.